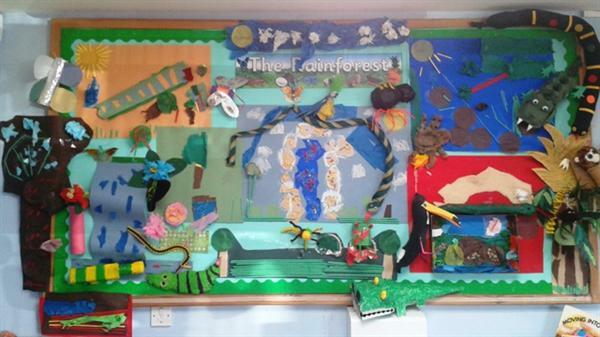 Congratulations to you all for making the most fantastic rainforest animals, insects and plants. You also did an excellent job today, creating the rainforest to put them in. Well done!